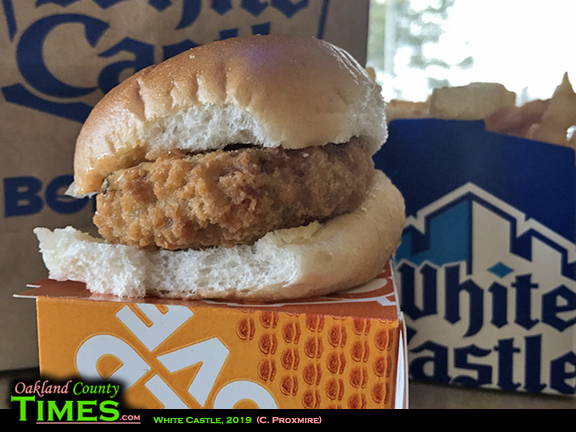 Ferndale, Royal Oak, Southfield, Oak Park, Troy, Pontiac, MI – As I hope everyone who reads Oakland County Times is aware, White Castle is the sponsor of our Reporter Food column. 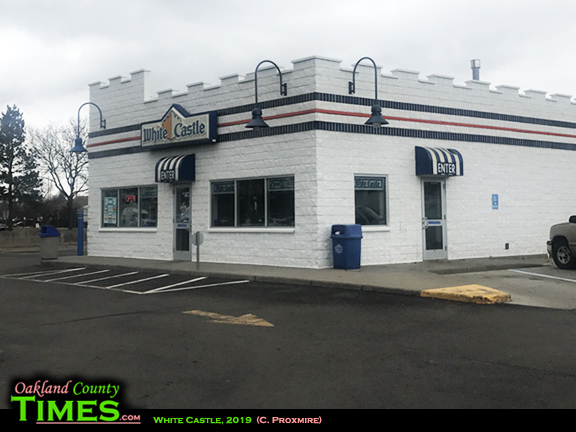 While I am excited to be trying and indexing as many restaurants in Oakland County as I can, it is always nice to try new things at the fast food chain closest to my heart – White Castle. 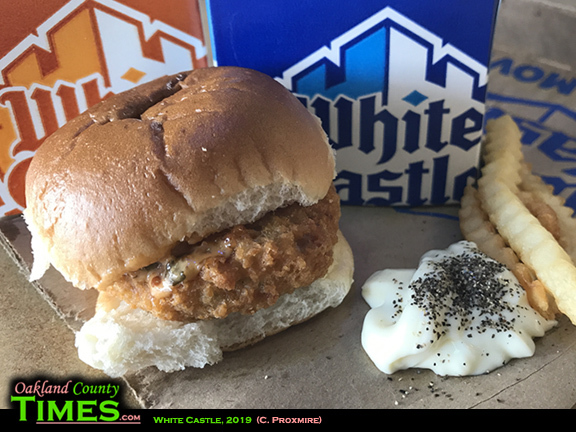 White Castle is always adding new items to complement their traditional beef sliders. 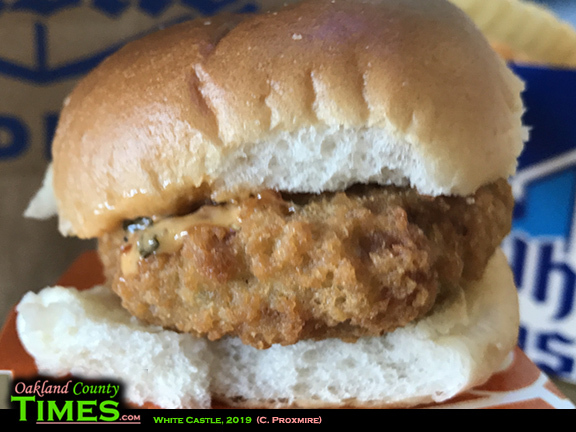 And recently that meant the return of Seafood Crab Cake Sliders – which come topped with creamy Creole sauce. 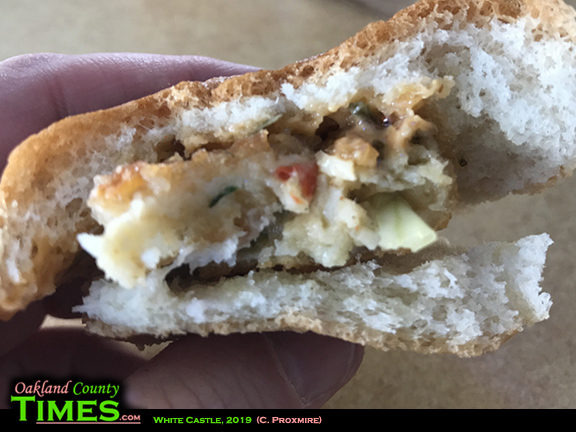 I was impressed with the texture of the crab cakes, which were slightly crisp on the outside but steamy and flaky in the middle, with noticeable bits of seasoning like onion, celery, and pepper mixed in. I think of crab cakes as part of a finer dining experience, such as my favorite at Howe’s Bayou. But to make this unique dish into an easy, on-the-go, tasty, non-burger fast food meal, is quite an impressive feat. They tested the slider in Louisville, KY before launching it nation-wide in 2017. 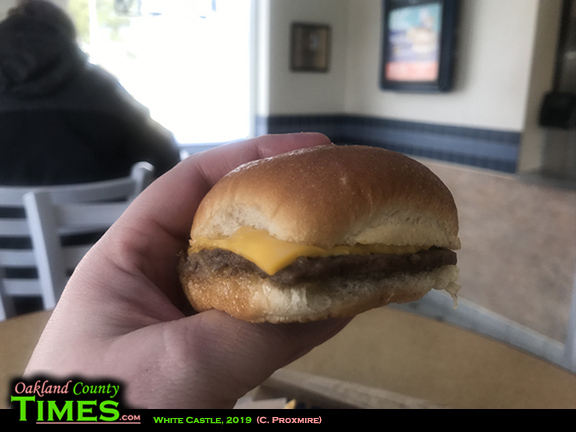 And the day I was in the Royal Oak White Castle, several people in line were also giving them a try. I also had a couple traditional sliders and some fries that I dipped in mayonnaise and pepper. They’ve also got this Coke machine that lets you mix up drink flavors. I love putting 2/3 Dansani Sparkling Lime with 1/3 Cherry Flavored Sprite. This was all a very good lunch.